It was made in Japan in the late 1950's by Maruha Gakki Seizo, (Maruha Musical Instruments Worldwide?) A lot of this information comes from the label so is probably correct as far as it goes. The seller tells me that it came to him via California and has had a lot of restoration work done on it; certainly from the photos I can see it has new tuners. 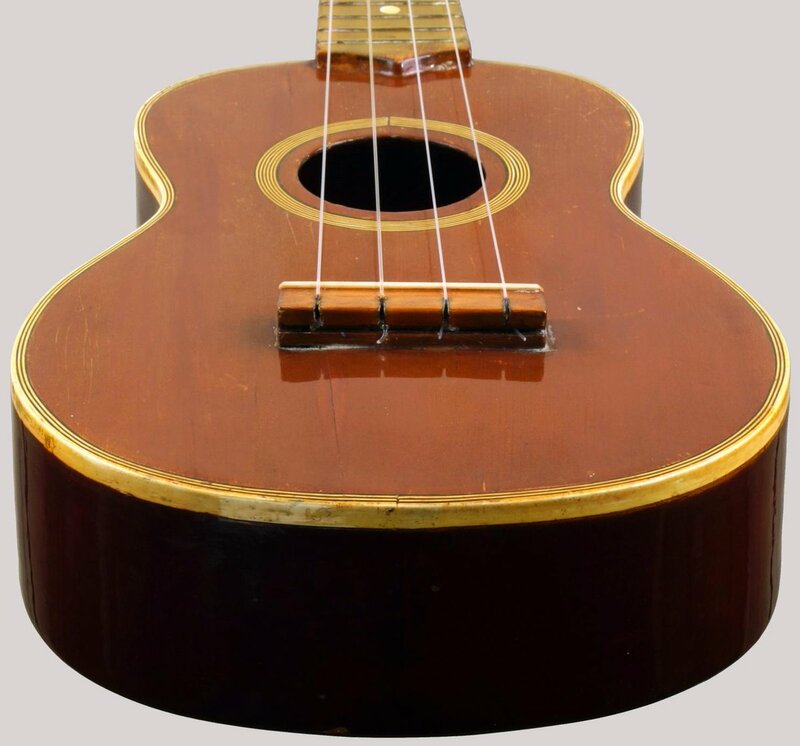 The seller also says that it is a handmade Ukulele from a luthier called Seizo Maruha(?) but I know it was made in a workshop/factory owned by Mr Fumio Hashimoto in Kurume, Fukuoka, Whatever the case it is a striking and unusual Ukulele with an arched back and I am looking forward to it arriving at Ukulele Corner.